Sportscapes uses premium turf products provided by Sporturf™. For Football and Soccer Fields, Sportscapes uses GameChanger T52. For Baseball and Softball Fields, Sportscapes uses MonoSport™ MT50. Both products are custom designed for outdoor use and has the added durability designed to hold up to intense use while staying beautiful and functional. 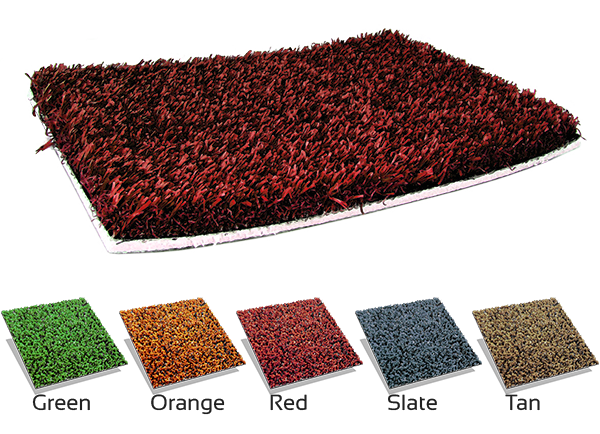 The clear choice for indoor fields is Combat Turf™provided by Sporturf. Combat Turf™ has all the advantages of previous generations of turf but it performs even higher in wear and resistance tests. The blend of nylon and polyethylene is an almost perfect 50/50 combination. This product will provide elite performance for a very long time. © Sportscapes Construction. All Rights Reserved.